Happy Fun Friday! Starting today and going through the month of September I am going to try something new! Welcome to Crocking Fun Friday! I love using a slow cooker, especially in the fall and winter, when the yummy smells just fill the air and speak comfort to me. Now that we have returned to the south for a season, I have also realized it is a great way to cook and avoid heating up your house any more than it already is in the summer as well! For some, it is just a fun way to cook, for others with a busy schedule it is a life saver. This week's recipe comes from a newer site that I love http://crockingirls.com/. If you have not checked out this website, I encourage you to do so. It is a wealth of information, and those two Texas girls will just make you smile! Here is the link to their new cookbook which you can order for $32.95. My sweet family blessed me with their new cookbook for Mother's Day and I have loved every recipe we have tried. Here's one of our favorites! Place chicken in slow cooker. Mix remaining ingredients and pour over top. Slice onion and lay on top. Cover and cook on low for approximately 4 hours. Remove chicken and shred, returning to cooker for 1-2 more hours. Serve on toasted rolls, or as a great topping to baked potatoes! Next week, I am going to try to figure out Linky so you can link up and add your favorite slow cooker recipe so start thinking! Sharing is always almost as fun as eating! College Transition- Ours, not hers! For 18 years you nurture a child, teach them, guide them and impart much wisdom, or so we hope. Then you send them off into the world! We are home after a 7 day whirlwind trip off dropping our oldest off. There were many sweet memories made and now tired parents and siblings! And an 18 year old as well, probably. You get use to having someone around and it is just plain weird when they are not. Remember, we are a homeschooling family, so I am not even use to her being gone all day. No matter how much stuff you take, you will still end up in Walmart with all the other families dropping off their kids. CP said we did our part at boosting the economy. Wisconsin is not close! AT ALL! Small schools are amazing! We each unloaded ONE thing from our car...a group of amazing girls unloaded all the other stuff! We should have brought those girls home to help catch up on the laundry! Christian schools are amazing! To see people praying all over campus, to have people ask how they can pray for your child...'nuff said! God is in the small stuff! Like giving ALP only two roommates. One is from a ranch in WY, one is a fellow military brat. My child is in heaven! Prayers from friends WORK! I know, because otherwise it would have been a much longer ride home! And I thank you! Grandparents are not to be taken for granted! They kept the boys for a week, loving on them and entertaining them more than we would have! Many thanks! My 14 year old is a great little sis and a real trooper! She helped with everything and was our official photographer! My husband is amazing! He drove the whole way there and back with no help from me, and pretends not to see the occasional tears. My oldest is ready for this challenge. She surprises me hourly with her strength, determination and devotion to the Lord. She is where she belongs and this momma could not be more proud. Today we are traveling back home after dropping our oldest at college. Time to take a breath and regroup! See ya on Wednesday- with MAYBE some thoughts that are halfway put together! Have I shared this one...it makes me laugh every time I see it!? The two boys, well, let's just say the photographer had her work cut out for her! Our summer garden is starting to come to a close, partly because the harvest season is winding down for the things we planted and partly because the farmer girl is not here to tend to it anymore. from squash, potatoes, onions, peppers and a few zucchini, to cantaloupe that we thought were watermelon at first, to enough tomatoes to freeze lots of tomato sauce and even some spaghetti sauce. It has been fun for the girls of the house to see the fruits of our labors. well what's been fun for them were the visitors we had! Deer! Sorry no pictures, but there have been several. A snapping turtle! Did you know those little creatures are mean? And will stand you off? A make a weird hissing noise? A skink. Not to be confused with a skunk! Again, no pictures...those critters are fast! Lots of caterpillars. One of which CJ finally talked me into bringing inside in the bug catcher. And can you believe it, it actually lived, made a cocoon and turned into a butterfly! I have paid companies to do this little experiment in the past. No more! There is a garden full of those wonders. And then just recently, some kind of snake! Luckily for me, the skin was all that was around to see at the time. I jumped down into the garden bare foot and landed on it. It took me a second to register it was the shed skin and NOT the actual snake, but I do think that in those few seconds my heart may have jumped into my throat! While I am not terribly distressed over snakes, I prefer NOT to step on one! This is minus about three more inches of skin that tore when I picked it up. I am sure there have been more, like the raccoon we saw the wildlife protection people carry away in a trap last week and even possibly the fox we saw wandering the neighborhood at the first of the summer, but for now these will do for entertainment. Thank you Christian Liberty Press! Every once in a while my kids get to read a book that I say, wow, that was worth reading. Mr. Pipes and the British Hymn Makers was one of those books. Written by Douglas Bond and geared for grades 7th-10th, this book was a delightful read. Truly charming, and yet very informative. I would also say that students several years younger and those to 12th grade would also enjoy this book. The book begins with siblings Drew and Annie staying in a quiet English village while their mom does some work there for the summer. During their stay they meet several fun characters, including Mr. Pipes, the pipe organist at the local church who introduces them to several adventures such as fishing, sailing and horseback riding. During their time together he also unashamedly shares his faith through a series of stories about eleven hymn writers or groups of writers. -Charming narrative with polite children. Drew thinks several times what I would refer to as smart remarks, but does hold his tongue. -There are a few fun pictures scattered here and there if you have younger children listening along. -Wonderful history lessons surrounding each writer! -Scores for a few songs by each writer at the end of each chapter. -This book is from a Christian point of view and simply lays out the gospel at a child's level! -The chapters are rather lengthy for a read aloud if you are including younger children. You may have to break each chapter up to keep their interest, or save your voice. -The children's interaction with their mom was minimal and not very positive, though nothing negative was said about her. That's it! Told you, we really liked this book and now look forward to getting the others in this series. I highly recommend them! Established in 1967, the mission of Christian Liberty is to support parents in fulfilling their God-given responsibility to provide a Christ-centered education for their children. From a single book to a complete curriculum, Christian Liberty strives to provide families a complete spectrum of products and services necessary to enjoy a high quality, Christ-centered home school experience. You can order a down loadable PDF of Mr. Pipes and the British Hymn Makers at Christian Liberty Press for $8.79. It can also be bought in paperback for $9.89 or as a complete set for $38.99. While you are there, check out the many other products they have to offer. This is a company we have ordered from and really like! Know you will to! See what other CREW members had to say about this book by clicking in the banner below! Disclaimer- We received a down loadable copy of Mr. Pipes in exchange for our honest review of the book. The ideas offered are our own and in no way were influenced by the company. Intriguing title, isn't it? 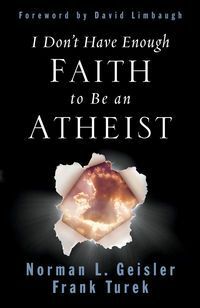 Written by Norman Geisler and Frank Turek, I Don't Have Enough Faith to be an Atheist was a book I just had to read out of curiosity. Not to mention it was being offered by Apologia, one of my favorite homeschool and family material resources. Let me begin by saying - a great read! But not an easy one. Intended for highschoolers and up, this is a challenging book aimed to challenge you in not just what you believe, but why you believe it and how to convey that knowledge to others. I love these quotes. And yes, I have a few people in my life that I want to share this book with too! How will I use this book in the future? I have been debating this one for a while now. I want my girls to read it NOW! It's got a wealth of information in it and I do not want them to miss a thing. But, for us, I think we will make this either our 11th or 12th grade bible course. In the workbook, the authors suggest you take 2-3 weeks to read each chapter and complete the workbook section. In reality, I think two weeks is more than enough time, one week for reading the chapter, they are really not that long, and one week to answer questions. That will make finishing the coursework in a school year quite a reachable goal. Another note about the workbook. Scattered throughout the pages are short biographies of men and women who influenced our faith. Even for younger children, these would be great starting points for short summaries to long reports for History or writing assignments! I Don't Have Enough Faith to be an Atheist can be ordered through Apologia here for $16.00. The Curriculum workbook sells for $33.00 and in my opinion is a must have resource! To see what fellow CREW members had to say, click on the banner below! Disclaimer: I received a copy of in exchange for my honest review of the product I Don't Have Enough Faith to be an Atheist and the workbook.. Opinions expressed are my own and were in no way influenced by the company. 1 week. That's it! In one week we will be moving our oldest into a dorm room 1,019 miles away. It has been a busy week (read month here) of packing. -A small sewing machine. For those of you who know her- 'ya didn't think she could actually go away and leave her stash, did 'ya? -needed books and a few favorite ones. -Stash of animal cookies to share with three roommates. (Bet 'ya saw that first!) Her grandparents have picked up another one for her as well. Can you think of anything we have forgotten? For this proud and excited, but emotional and teary, momma! Do you have great spellers in your house? Us- not so much. So I was excited to get the opportunity to review Vocabulary Spelling City. If they think they can help us, then I am willing to give it a try! What it is: An online program that encompasses spelling, vocabulary and even handwriting for ages K-12. What it does: Teaches, reviews, quizzes, grades and keeps track of it all for you. How it works: You, as the teacher, can create master word lists to be taught, or you can choose from the many lists they provide, to include dolche lists, homophones and contractions and even subject specific lists. This means you can use any spelling program you have and add those words with just a few clicks. Studying -ed words this week? Just add your words and you are ready. If you are just staring out homeschooling, no need for a formal spelling curriculum, just use the lists they have provided and you are covered! Your child can then take a pretest, make flashcards, or my son's favorite part, play a game! Games include unscrambling letters to make the words, crossword puzzles and more. A premier membership opens up even more choices. You can also test definitions for the words of your choice. The neat thing about this is that the computer will generate definitions for you for the words you input, or you may write your own definitions to better fit your family! BONUS! : My son is an auditory learner. Say it out loud and he knows it for life. I think that one of the reasons this program worked so well for us is because of the multiple auditory aspects of the site. I would be willing to bet the same would be true of highly visual learners. For those who are not as savvy on the keyboard, many of the games are also printable. Just look for the printer icon next to the game you choose. Bottom line: This is a great resource that we will continue to use! For a family of multiple children, my time is sometimes limited and having the computer call spelling words alone is worth its weight in gold in my opinion. Add to that a more visual and auditory way of learning and all of the options offered on Vocabulary Spelling City and I think it is well worth every penny! Give it a try and see if you agree! To see what fellow CREW members had to say about Vocabulary Spelling City, click on the banner below. Disclaimer- I received a free online premium subscription to Vocabulary Spelling City in exchange for my review of this product. All opinions are my own and were not influenced by the company in any way. 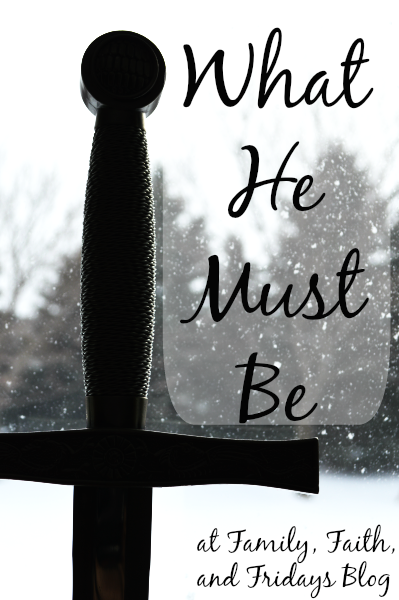 I have been re-reading the book What He Must Be...If He Wants to Marry My Daughter, by Voddie Baucham, Jr. It is a good book about all we want our future sons-in-law to be. A good concept. But there are two young men I do have great influence over - the two the Lord blessed me with to raise. So, I am raising them to be that spouse in the future! A challenging thought to say the least, but one that I am convinced the Lord desires for me to do. As much as I desire my girls to eventually marry amazing men, I also want to raise my boys to be the amazing men in someone's future! Here are my thoughts. *Love the Lord with all of their hearts. I truly believe that before we can love a spouse we must first love the Lord and put Him first in our lives. Only then can we love another as Christ first loved us. Are we teaching our boys about the Lord - who He is, what He has done for us and what it means to follow Him? Are we teaching our boys to love the needy, the destitute and the hurting people of this world? Do they know that sometimes just a hug and an "I understand" are all that are needed most? Are we teaching our boys that physical touch, in the right setting, is precious? That just holding a hand can be a loving gesture? Let's face it, there are a lot of scary things out there. Are we teaching our boys to face the Goliaths of the world; to not run from a challenge, but to defend and protect their faith and eventually their spouses, in the face of evil? Can our boys fix a leaky faucet, mow a lawn, put together a cabinet? They won't learn unless we teach them! While I caution my girls against waiting for a knight on a white horse, let's face it, every woman wants a little romance in their lives. Do our boys see the love notes their daddy leaves occasionally, the flowers on the table or the secret winks? Are we teaching them the art of romance by our example? Do we take our boys by the hand and teach them how to do a job and do it well? Do we expose them to multiple career fields and tent-making skills so that they can make informed decisions on how they can work to support a family? Do they know that after the work can come the play? In a world that teaches it is all about me, are we teaching our boys others first? *Know the importance of family. Do we create an atmosphere in our home that makes them want to be with us? Are we fun and loving? Are we creating traditions that they will want to carry on in their own homes? Can our boys rise to the occasion and be a leader when needed? Are we teaching them to step up to the plate in this area? To be directive without being a dictator. 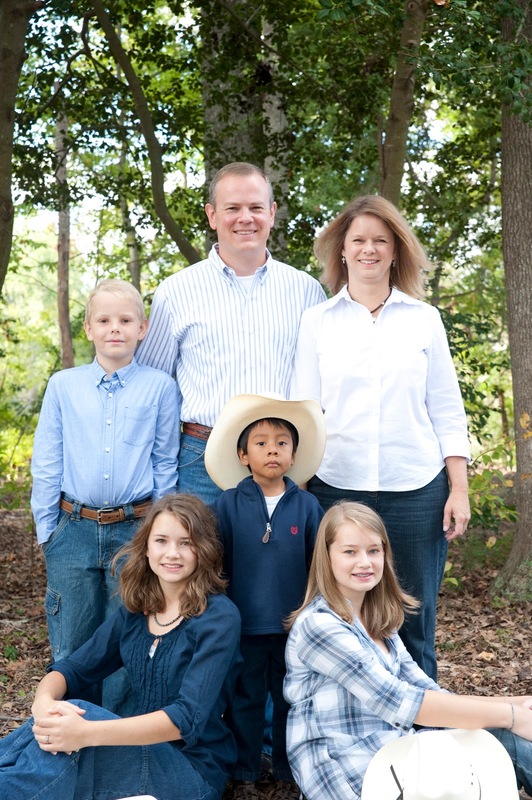 Do we provide them the opportunity to pray for our family, to make decisions, lead family worship, manage their money? If they are going to be the leader of their families, these are skills they must know. We want our boys to dream big! (right now that would be "lego designer", but go with me here) Are we encouraging their dreams, allowing them to explore the world and find their passion? Do they realize that when dad is happy, our family is happy? Oh friends, I could go on and on! They must be all this and so much more. Above all, may we lead them to the Cross, where a loving God will direct their paths. May we follow Him in molding them into the men and spouses He would have them to be! CREW Review- Math Made Easy! Math Made Easy, created by Glenda Brown James, puts a whole new spin on learning math facts. Children learn addition and multiplication facts without counting on their fingers. Mastery of facts in 6 weeks. Only 36 facts to memorize! Here are the basics: Mrs. James explains that most kids know or can see quickly that they know the 0, 1, 10 and 11 facts! Show them how easy they are and get them excited about what they know already. Then show them how those facts are the same regardless of which number comes first! THEN, mark all of those facts off a fact chart and show them they only have 36 facts left to learn...6 a week for 6 weeks! 6 RANDOM facts. Each week, with the help of included fact cards, your child practices the facts out loud and then does a quick worksheet to solidify that learned knowledge. Each sheet is labeled for the week and day you are to do it. An organized, my kind of lady! Love her already! That's it! Repeat with week 2 through 6 - six new facts and the worksheets will also review the ones from the previous week. In addition, Mrs. James has included several games in the back of the book to cut out and use to further reinforce practice. OK, yes, my oldest son was a little old for this program, but I LOVED it anyway. Let me tell you why! And he is pretty good at that. But, that is where his knowledge stopped. Ask him 7 x 8 and he has to stop and think or skip count his way to the answer. It may get him through during the normal day, though not efficiently, but it is a horrible problem when testing time comes! So he needed this practice! By teaching facts in a random order, it forced him to learn each fact again, non-dependent on the one before or after it in a number family. Viola! THIS WILL FOREVER CHANGE HOW I TEACH MULTIPLICATION! Really! The next time around, I assure you we will be skipping the traditional lessons and using Math Made Easy for learning basic math facts! This Homeschool Multiplication Package can be ordered at Math Made Easy for $24.95. Classroom editions are also available! To read what fellow CREW members had to say about this product as well as the addition version click on the banner below! Disclaimer: We received a copy of Math Made Easy, Multiplication in exchange for our review. Opinions expressed are our own, and were not influenced by the company in any way. 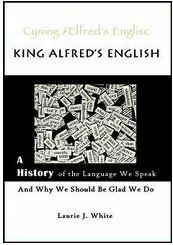 King Alfred's English- A History of the Language We Speak and Why We Should Be Glad We Do, by Laurie White was birthed out of the author's interest of the language we speak and how we came to speak it. Laurie, a former homeschooling mom of three, has a desire to now pass that interest, and the knowledge she has learned, on to others, ages 12-adult. *There are around 80 sounds that humans make and the English language only uses 40 of those? *All unpronounced letters in the English language, like the "gh" in night, were once pronounced. *During the Middle English period, the English were so determined to act and talk like the French that many of the words we use today are spelled and pronounced the way they are due to French influence. *During the time of the printing press, upper case letters got their names because they were kept in the upper trays, and lower case letters were called so because they were kept in the lowest trays since they were used more. *30-50% of English words are derived from France. *Shakespeare used 20,138 words in his works; at least 1,700 that he made up! This is just the tip of the iceberg of what you will learn while reading King's Alfred's English. You will also learn quite a lot about the History of England, the Bible and many famous people of the Old, Middle and Modern English time periods. Laurie has managed to take what could be a boring run down of the history of the English language and make it fun and engaging to read. Best of all in my opinion, on Laurie's website The Shorter Word, there are a ton of free resources. The Student Pages include additional chapter information, related articles, videos and recommended literature and movies. The Teacher's Pages included worksheets for each chapter which then can be used as study guides for the three included tests. You can find King Alfred's English on Amazon, CBD, and Rainbow Resources for as little as $14.95. If you are one of the first four people to comment in the comment section of this post that you would like a copy, Laurie has generously given me a coupon code to share that can save you 50%! To check out what fellow CREW members had to say about this book click on the banner below. How are you? Where do you live? Where do you work? You know- the standard questions you ask people. OK, to be fair, the why question may not come up so quickly, but believe me, it does come it. Which is kind of funny to me since I cannot recall one single time that I have ever asked someone why they send their child to school. Not once. But I do have reasons and so today I am setting the record straight. 1- My husband is a pilot. Yes, that really is the first reason we started homeschooling. He had a crazy schedule, worked a lot of nights, was in and out a lot and I knew if I sent the kids to school they might not see their dad for weeks at a time. That simple. 2- We are a military family that moves. Often. I could not stand the thought of my poor kids being in two or three different schools in one school year! How mean would that be. Not only would that involve the normal first-of-the year school confusion times two or three, but the standards of education are different in every state. Some places you may be lucky and your children will be deemed ahead; others, they could be behind or asked to repeat certain classes. Trust me, I have seen it happen. 3- I had a friend who homeschooled- she made it look easy and her kids were amazing. I wanted kids like hers! 4- I liked the idea of private schools but could not afford them at the time. I honestly thought we would spend the first few years schooling the "easy subjects" while saving up to send the kids to private school in the "harder" years. 6- I am a homebody. I am very content at home and like my kids being here with me. They are fun to be with (most days) and I enjoy our time together. Put us in a cabin in the woods and we would do just fine, thank you. 7- I like being able to choose what my kids learn. Yes, we all need to learn basic grammar, math science and history, but I love that I can teach the kids the Bible and what we believe without any concern of reprimand or backlash from a school system that may not believe as I do. 8- GOD CHANGED MY HEART! That really is my bottom line now. Somewhere along the way of doing what I wanted and what I thought was right, He changed how I schooled and why I schooled. I do not pretend that homeschooling is for everyone, but I know it is right for our family. I believe that the Lord has called me to teach my children- about Him and for Him! I am honored! This post is part of The Schoolhouse Review Crew Blog Cruise! On Tuesday check back HERE to see what fellow CREW members have to say about why they homeschool. You may be surprised at some of the answers! This post is also linked up to The Modest Mom's Not Back to Homeschool Week Blog Hop! Reading back a few posts, I realized that I never posted my two ingredient dessert. Mix well! and mix again! (this helps it rise) Pour into bundt pan and cook according to directions on box. Yep, that is it. And yes, it is a cheater recipe using a boxed mix. And, yes, it is that kind of day. After reading an amazing article about the health benefits of milling your own wheat, we began the adventure of buying wheat berries. To make a long story short, we love the process, have seen visible health changes since starting, and are convinced it is much healthier than processed white flour. We now use it to make our own bread, muffins, cookies - anything that uses flour. Contrary to popular misconceptions, it is not hard and one does not have to be Amish to do it. ;) It only takes a few minutes (we use an electric grinder) and is no big deal. Shortly after the mill, we also invested in a pasta machine. Yes, I know you can do this by hand, but no time, folks. Anyway, the pasta maker comes with several recipes but the one we use the most uses flour and water. Seriously! That is it! No health concerns there! Plus, it is so easy even the boys can do it, and they love watching the process. There is something about homemade pasta that can make your heart sing. Plus, did you know that unprocessed pasta cooks in just a few minutes? So, while the dough does mix for about 10-15 minutes (we walk away from it while the machine does its magic), the cook time is much shorter so really you just trade out your time invested. A fun family project that allows everyone to get involved and be excited about cooking. Can't think of a better way to spend my time!